Soccer, or Football, has always been in my blood. 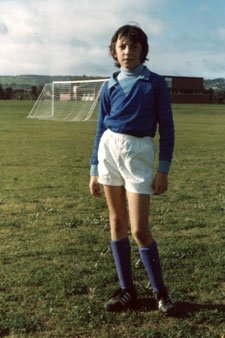 From the very early days of the FA Cup and English Premier League, cheering on Southampton, to the heady days of grade seven in primary school, playing Left Defence for Marion, I’ve always thought soccer struck the right balance between strategy and brute force! The day I started following Southampton was that fateful day in May, 1976, crouched on the living room floor at my paternal grandparents, watching the 1976 FA Cup final between Manchester United and Southampton. On our black and white tv, Manchester United looked black (read, evil) and Southampton looked white (read, pure) – at least this was how it looked to a young boy watching soccer for the first time. Profoundly and unfortunately, Southampton won that day, I have followed them since, and they have rarely won anything to this day. There have been some great hightlights though. One was in my last game for Marion Primary School when, as the Left Back defender, somehow I broke away from the pack with the ball and, leaving everyone else behind in our defence, I pushed toward the goal face, just me and the opposition goalkeeper, and miraculously scored. It was a cherised moment from my last game. For more information about the other Steve Davies footballer, read this entry.